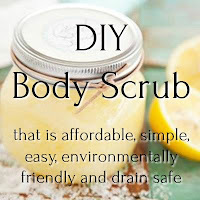 My sister actually got me into this DIY body scrub thing. We made some together at a Holiday Party she hosted last year and I was hooked! I make it all the time myself now! I usually DIY a lip scrub and I use this recipe without essential oils for that now too. It's SUPER affordable and insanely easy. Plus all the ingredients are safe for the earth and ocean, and won't clog your drain. Melt the coconut oil in the microwave, and then add the sugar. Mix together and once it is solidified you will have a hydrating and easy body scrub! You can store it in a mason jar, Tupperware container or any other container that has a fairly secure lid and is safe in the shower. For reals that is it! Now hold up! We can totally customize this with other things right? Hells yeah! I would love to recommend adding 100% pure argon oil or shea butter to the mix, you odn't need much though. You can also throw in some essential oils to create a nice fragrance, a dash of food coloring for a visual effect, or even dried flower petals and leaves! You can switch out the type of sugar you use too for salt, coffee and brown sugar! Or not. 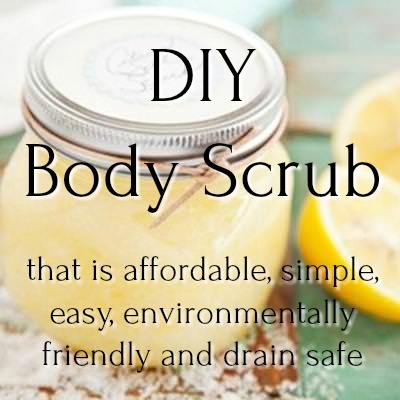 You could just have a fragrance free, all natural scrub that is perfect for your sensitive skin. But below I have some combinations listed that worked well for different purposes. Get creative and have fun! The first set are all combos to help with specific needs or purposes, the second list is more about fun scents you might like.